In September my partner is attending a work conference just outside of Washington, DC. I’ve decided I’m going to tag along on the trip and explore some of historic sites, museums, and general history goodness in the area. So far I’ve come up with a few must see places, but I would love to hear suggestions from anyone who is familiar with the area and who has a general love of history. 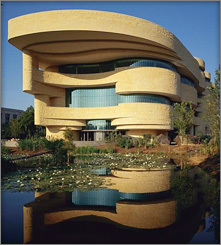 American Indian Museum. Given the lack of national Indigenous museum in Canada I’m intrigued to see how the American Indian Museum portrays the complex First Nation-Settler history. My visit to the CMC‘s First Peoples Hall a couple of years ago was disappointing at best. National Museum of American History. The desire to make this visit is mostly based on the insistence recommendations of colleagues and friends. National Archives and Records Administration. The desire to visit the National Archives is once again based in the desire to compare national differences. Library and Archives Canada is far from welcoming to the casual visitor and has very little in terms of exhibits and public vaults. If time permits I would also like to make a visit to one of the numerous art galleries or art museums. If you have visited Washington in the past what were some of your favourite experiences? The idea of experiential learning (the process of learning through doing) is being heavily promoted in education systems right now. Hands on activities, active involvement in learning exercises, and anything other than listening to people talk are all types of experiential learning. Living history sites are excellent examples of heritage organizations which utilize experiential learning. Visitors to living history sites are often engaged in what life was like at a certain time period. This might include learning a period dance, learning a song, baking bread the ‘old-fashioned way’, helping harvest a heritage garden, spinning wool, or numerous other activities. Living history sites are designed to immerse people in the past and often do so through experiential learning. How can (and do) heritage organizations other than living history sites engage visitors in types of experiential learning? 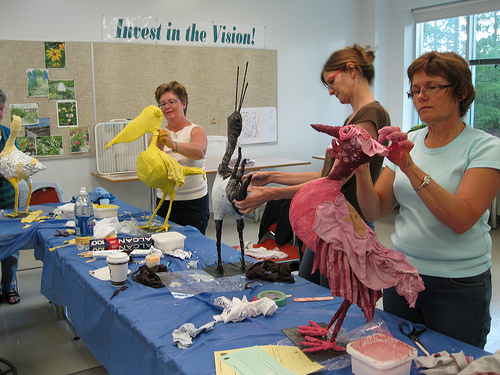 Art institutions often provide classes which introduce visitors to a particular art form – be it pottery, drawing, or painting. An example of this is the Whitney Museum of American Art‘s drop in drawing class, which situates participants in a gallery and provides drawing instruction. An increasing number of museums are also offering experiential learning based educational programs. At times these programs take on a feel of a living history and allow visitors to learn a historical skill or participate in a period celebration (eg. Christmas in the 1800s). Museums also utilize educational reproductions to allow hands on experience with collection material. 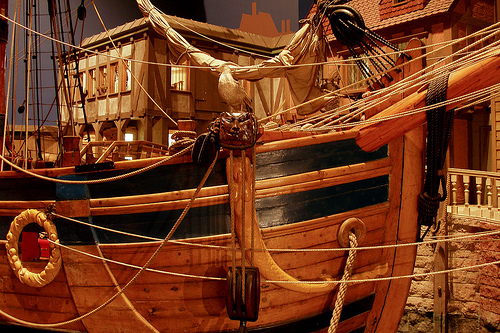 The Norwegian-American Museum‘s curator for a day program is an example of a museum program which fully dedicates itself to experiential learning. Some archives have also moved to providing a more experiential based outreach programs for schools. These programs often focus on introducing students to the value of historical photographs and documents. For example, students can be sent on a source ‘scavenger hunt’ where they search through reproductions of newspaper clippings, photographs, and other material to find particular information. Do you have memories of a particularly good (or bad) experiential learning program at a heritage site? The users groups of heritage organizations vary greatly from organization to organization. People who frequent a university archive, a children’s museum, and a local history corner at a public library typically have very different needs. Providing quality programming depends on heritage institutions knowing their users and gearing specific programming to different types of users. One of the unique user groups I’ve been thinking a lot about recently is visitors from outside of Canada. This group of patrons contains a variety of users but in my case the group is made up of academics from foreign universities, tourists, and international students. Visiting academics from afar are often undertaking directed research and may require assistance in making the most of their time in the area. Conversely, tourists and international students often know little about the institution or local history. Tours and basic public programming should be expanded to explain the significance of the heritage held by your institution. You may also need to incorporate some broader Canadian or regional history into your tour for the information to make sense. For example, a group of international students receiving a historic site tour of a former residential school may have little understanding of colonialism in Canada. It would make sense for the tour introduction to include an explanation of the residential school system, the factors that contributed to the creation of such a system, and a general overview of Settler-First Nation relations. It is also crucial that staff are using language appropriate to the group – using Canadian-ism and jargon isn’t going to be helpful to most international visitors. 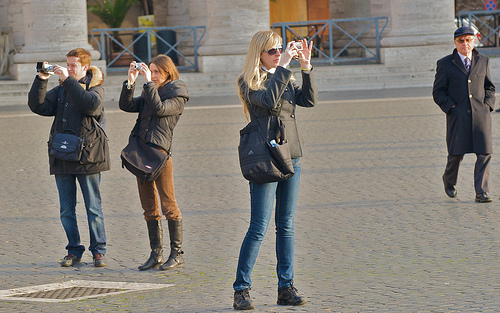 Thoughtful planning and tailoring tours to specific groups help enhance visitor experiences. Feedback from visitors and experimenting with different formats can help you decide what outreach methods work best. What types of targeted user group programming does your institution offer? Many heritage institutions broach topics and themes that have the potential to be emotionally difficult for visitors. The holocaust, wars, slavery, residential schools, and numerous other topics are addressed by heritage organizations across the world. Physical displays, archival records, and digital material all have the potential to be triggering – especially if the topic being addressed is emotionally sensitive or has a personal connection to patrons. How do heritage organizations broach collections that contain material which may be considered triggering? Careful consideration should be put into displays, contextual information, and the general presentation of material. Ideally organizations will have established policies for handling this type of material and include members from the impacted community in the design process to provide guidance. In addition to careful display planning many heritage institutions which deal with sensitive material have health support on staff. Health support workers can have a variety of training, but typically they have some experience in social work or mental health counseling. Health support can be invaluable for patrons who are triggered by material in a heritage institution. Even organizations which cannot afford to hire a health support person full-time should look into providing all their front line staff with basic health awareness training. This training should touch on possible triggers, how to identify people who have been triggered, techniques for approaching and talking to someone who is emotionally triggered, and coping skills for dealing with sensitive information. Heritage institutions are gateways to the past. It is crucial that staff are aware that this gateway can open up to memories which are not always pleasant. History needs to approached respectfully and patron care is essential to respectful presentation of the past. 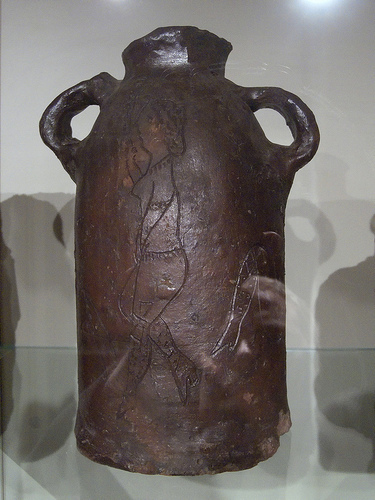 This is the fifth segment in a series of posts entitled, “Collection Glimpses.” Each post in the series focuses on a unique collection, innovative repository, or a not well known cultural heritage institution. 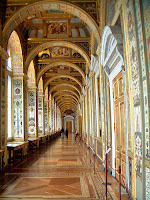 The State Hermitage Museum, located in St Petersburg, Russia is one of the oldest and largest museums in the world. 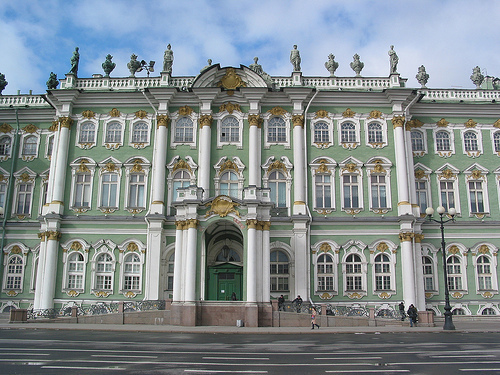 The Hermitage collection began under the reign of Catherine the Great and was initially her private art collection. The Hermitage opened to the public in 1852. The buildings that house the Hermitage Museum are as historic as the collection itself. 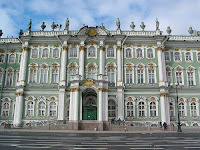 The museum is housed in complex of six historic buildings including: the Small Hermitage, the Large Hermitage, the New Hermitage, the Hermitage Theatre, and the Winter Palace. Many of these buildings were at one point home to Russia Tsars and were constructed in the mid 1800s. In collection as vast as the Hermitage holdings it’s hard to pick out collection highlights. However, I personally enjoy the Museum’s Treasure Gallery which features goldwork and the history of the jewelry craft. The Hermitage also hold a large prehistoric art collection, which features artwork in a variety of formats from a number of civilizations. Despite holding a fantastic collection, the Hermitage website isn’t the most user friendly and doesn’t readily facilitate exploring the collection online. If you’re interested in learning a bit more about the Hermitage Museum, check out the Museum Secrets episode that features the Hermitage. As part of a work project, I recently spent some time scrolling through a variety of digital exhibits created by heritage organizations. My goal while looking at these online exhibits was to compile a list of functions and visual characteristics which comprise a ‘good’ online exhibit. I’m not sure my efforts resulted in an ultimate list, but I did come a few digital exhibit techniques I liked and a lot I that found verging on horrible. Poor flow of information and the user is left unsure of how to navigate information. Way too much text. Most curators often refrain from including an overload of text in a physical exhibit, but it seems like this practice is often ignored in digital exhibits. Overuse of flash or other elements which take a long time to load (even on highspeed). Combining mediums and using the digital space to display video, audio, and photographic material from a collection. Facilitating hyperlinking to the online collection descriptions so users can learn more about an item. User choice is integrated into the design. For example, the user is able to decide which part or items of the exhibit they wish to look at and in which order. Exhibit theme (colours, images, etc) allows the image to stand apart from the rest of the institution’s website. What makes a good digital exhibit? What is your favourite virtual exhibit? This is the third segment in a series of posts entitled, “Collection Glimpses.” Each post in the series focuses on a unique collection, innovative repository, or a not well known cultural heritage institution. 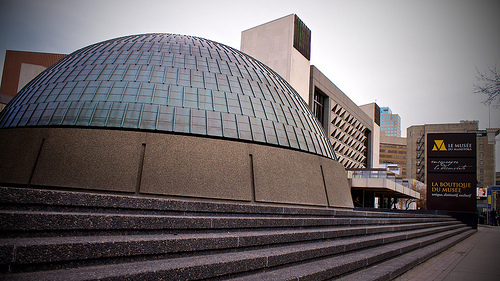 The first post highlighted the Canadian Lesbian and Gay Archive and the second installment focused on the Gardiner Museum. 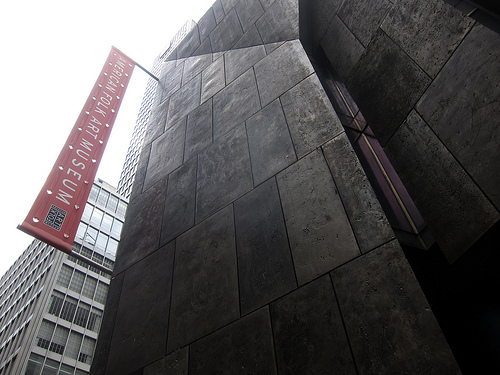 Established in 1961, the American Folk Art Museum is dedicated to the display, preservation, and interpretation of traditional folk art and contemporary self-taught artists from the United States and internationally. The museum hold folk art items from the eighteenth century to the present. In addition to an extensive collection dedicated to traditional folk art of all mediums and contexts, the Museum’s Contemporary Center highlights recent works of art and culture which reflect the ongoing tradition of self-taught artistry in the United States. The Center presents lectures, symposia, and special events. A portion of the Center’s contemporary works can be viewed online. Other than the unique items in the collection, the factor which makes the American Folk Art Museum stand apart is the museum’s commitment to outreach and educational programming. The Museum has an extensive collection focused lecture, tour, and workshop schedule. Other outreach initiatives include hands on DIY craft sessions, guitar afternoons, and free music Fridays. For those interested in American folk art and not unable to visit the museum, there are a wide array of social media and digital display techniques used by the museum. The museum has digitized a number of items and made them available via an image gallery. Additionally, in the past the Museum has produced some exhibit specific apps and digital promotions. 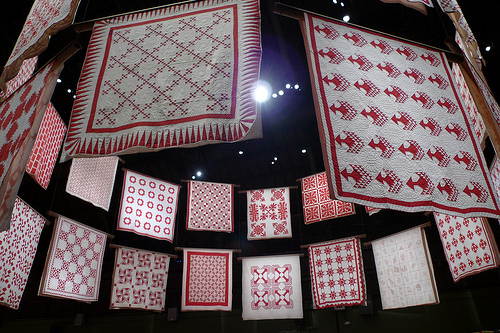 The “Infinite Variety: Three Centuries of Red and White Quilts” app is an interesting example of an app allowing remote access to an exhibit. Overall, the abundance of digital resource and research potential provided by the American Folk Art Museum left me longing for a Canadian equivalent. The Canadian Museum of Civilization does collect Canadian Folk art, however at the moment that collection isn’t overly accessible in a digital format.